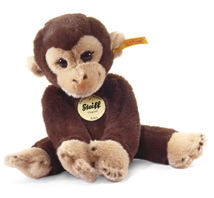 Made for the Steiff 2014 collection. 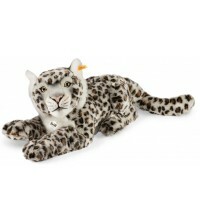 This Steiff Paddy Snow Leopard is made of spotted light grey plush. 42 cm. / 16.8" tall. 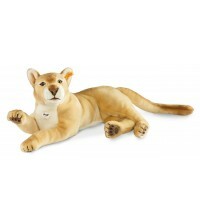 This Steiff puma is made of blond plush. 55 cm. / 22" tall. 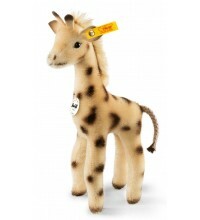 Made of beige / brown dotted plush. 352 cm. / 14" tall. 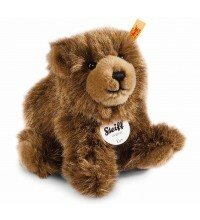 This Steiff Urs is made in Germany in 2014. Made out of wonderful soft brown woven fur.. 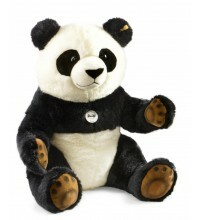 This Steiff Panda is made out of soft white and black plush. 45 cm. / 18" tall. 70 cm. / 28" tall. 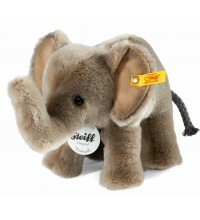 Made for the Steiff 2013 Jungle collection. 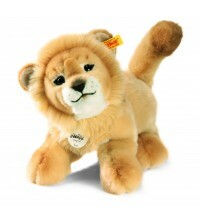 This Steiff lion is made of blond colored plush. 28 cm. / 11.2" tall. 34 cm. / 13.6" tall. 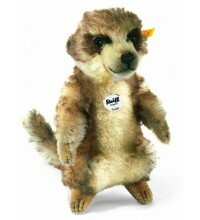 This meerkat is made of wonderful soft brown tipped mohair. 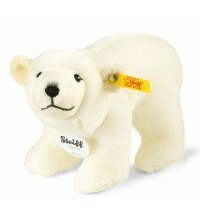 This polar bear is made in Germany in 2014. 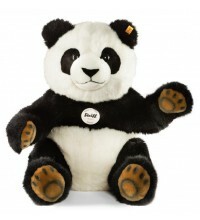 He is made of soft white plush. Koko is 17 cm. / 6.8" tall. 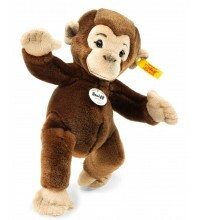 Made out of cuddly soft dark brown plush. Mungo is 24 cm. / 9.6" tall. 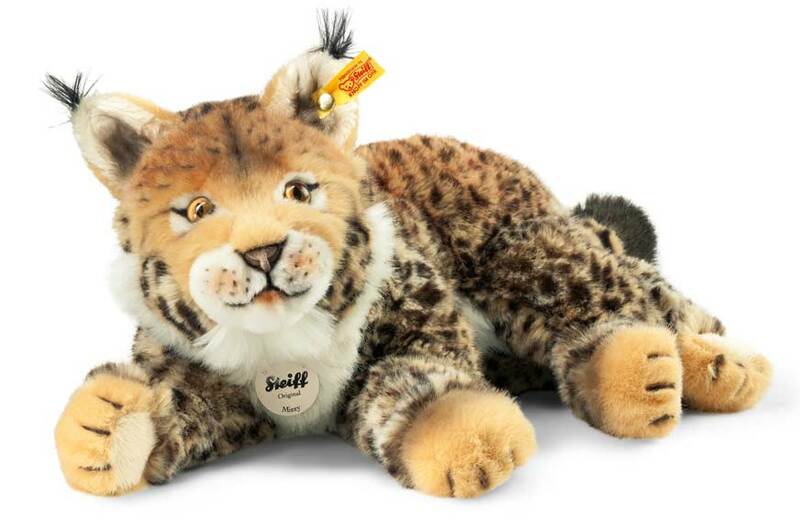 Made out of cuddly soft plush. Koko is 25 cm. / 10" tall. 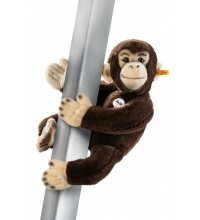 Jocko is 50 cm. / 20" tall. With magnets in hads and feet. 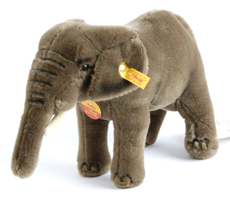 This elephant has been produced in Germany in 2014. 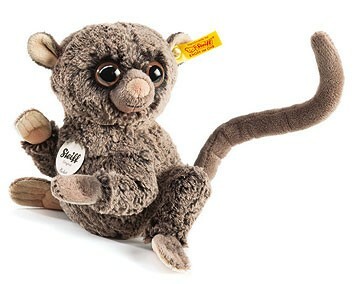 He is made out of grey plush. 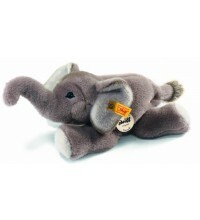 This elephant has been produced in Germany in 2003. He is washable by hand. 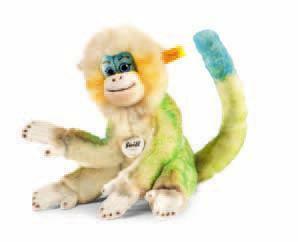 Greta is intended as a collectors item! 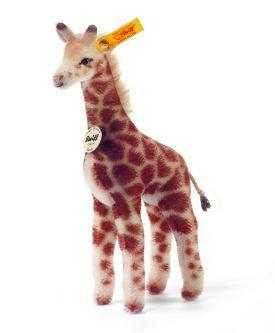 This giraffe has been made in Germany in 2011. 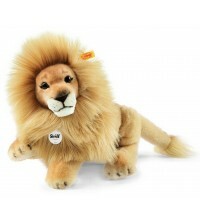 He is made out of mohair. 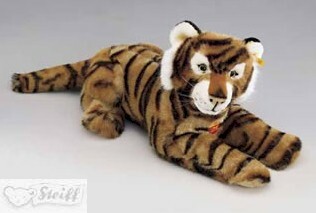 This tiger is made in Germany from 1997 till 2001. He is 35 cm. / 14" tall.. 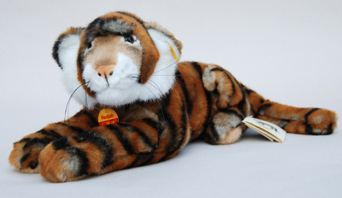 This tiger is made in Germany in 2000. 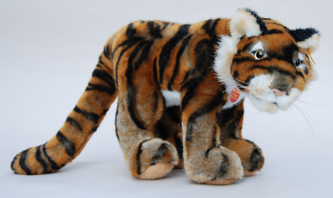 This tiger is made in Germany in 2003. He is 42 cm. / 16.8" tall.. 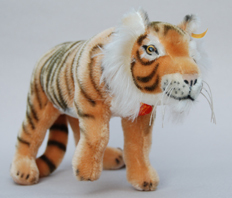 This tiger is made in Germany in 2002. He is made of mohair. He is 40 cm. / 16" tall.. 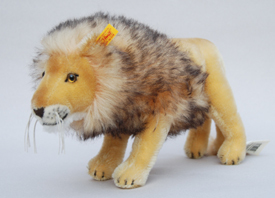 This Lion is made in Germany in 2002. He is 37 cm. / 15" tall..